Italy, 1971, 110 minutes, Colour. Dustin Hoffman, Stefania Sandrelli, Carla Gravina, Clara Colosimo. Director, Pietro Germi was a strong campaigner in the 60s for introducing divorce laws into Italy with such films as "Divorce - Italian Style", "Seduced and Abandoned", which highlighted the anomalies in society and inconsistencies in law consequent upon the legal situation. He continues his theme here after the legislation has been passed. As a comic picture of Italian men and women, unrealistic romance and the horrors of such marriages, the film is gently satirical and humorous. Once the film takes up the divorce causes, the comic effect is spoilt for propaganda. Dustin Hoffman acts well, but sounds too American where authentic Italian atmosphere is needed. For those interested in things Italian. 1. What tone did the title take towards the hero? What kind of a hero was Alfredo? Was he in any way heroic? Typical? Likeable? Achieving anything in life? 2. How did the divorce atmosphere colour the whole film? The impact of the initial scene confronting husband and wife for divorce? The atmosphere of divorce? 3. How successful was the structure of the film in its flashbacks? Was the commentary helpful? How different would the film have been had it been straightforward narrative without commentary? 4.	what kind of a man was Alfredo? How was he presented? As small, timid, ambitious for a career which he never achieved, living at home with his father, shy as regards girls? How typical of an Italian male was Alfredo? How were we meant to sympathise with Alfredo at the beginning? How was he transformed during the film? What made him more courageous. daring? Was he more or less likeable at the end of the film? Why? 5. How did the film exploit the contrast between Oreste and Alfredo? How typical of the Italian male was Oreste meant to be? Especially in his attitude towards women? What was the bond of friendship between Alfredo and Oreste? Why did Alfredo think he should be like Orests? 6. What kind of person was Maria Rosa? Why did Alfredo idealise her? idolise her? How funny was his pursuit of her? How did the humour turn to irony when Maria Rosa responded? The overwhelming impact of her continuous telephone calls etc.? 7. How real was the love between Maria Rosa and Alfredo? Did either of them truly love the other? Comment on the impact of Maria Rosa's 'phone calls at all hours, and on the day that she went away from the city. and Alfredo spent it searching for her clues? What was the significance of this particular sequence? 8. Why was the marriage not a success? Maria Rosa’s parents, Alfredo's father, the quarrels with the servants, Maria Rosa's stopping work? What point was being made here? 9. Why was Maria Rosa so possessive? Why could Alfredo not take this? Was the idea of pregnancy a good one? How did it work out in fact? How did Maria Rosa take the pregnancy? What was the reaction to her imagined pregnancy? Did this destroy the marriage? 10. Was Carolina an attractive character? How did she contrast with Maria Rosa? Why was Alfredo attracted towards her? What should he have done? What effect did Carolina have on Alfredo? How did she change him? 13. 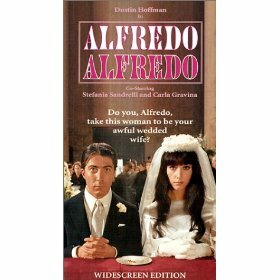 Was Alfredo right in marrying Carolina? Why? Did the marriage ceremony indicate that all would be well? Would they live happily ever after? 14. What did the film say about the reality of divorce, its necessity in today's society? Did it show some bad consequences of the absence of divorce laws? Was divorce the only way to solve the problems presented in the film? What influence do you think such films would have in Italy concerning divorce? 15. Was this a satisfying comedy? Was it a satisfying insight into human relationships? Into human nature?